Unleash your creativity and break free from your desktop with a sleek HP ZBook 15 mobile workstation that keeps you productive in the field. Take advantage of powerful processing and graphics, consistent color throughout your workflow, simple scalability, and the blazing-fast connectivity your team needs to perform and collaborate at the speed of creativity.\n\nFeatures\n\nWindows 8 Pro or other operating systems available\n\nInnovative, sleek design.\n- The new stylish HP ZBook 15 projects a professional image at the office, client meetings, and on the road without sacrificing the durability of a lightweight chassis.\n- Consolidate workstation resources and connect from any computer at any location with internet access. With HP Remote Graphics Software (RGS),1 collaborate with colleagues, or utilize the power of servers and workstations back at the office.\n\nPower to perform.\n- With Thunderbolt™,2 professional NVIDIA Quadro 3D Graphics, and optional Quad Core CPUs,3 4 the new HP ZBook 15 takes power to a new standard.\n- Empower your creativity. Count on dynamic, true workstation performance with the latest 4th generation Intel® Core™ i5 or i7 processors.\n- Customize this HP ZBook 15 to meet your demands. Keep large files at your fingertips without sacrificing performance with Windows 8 Pro, up to 1.8 TB of storage3 6 and up to 32 GB of memory.\n- Accelerate creative projects with up to 2X faster data transfer speeds than USB 3.0. Easily connect to multiple devices with just one cable. Thunderbolt™2 technology makes it possible.\n- Get full power of graphics when you need them and longer battery life when using lighter graphic applications. It’s automatic and seamless with hybrid graphics.\n- Confidence in colors.\n- Maintain accurate, predictable colors that are consistent across your entire digital workflow. What you see on your display is true to the finished product, thanks to the optional HP DreamColor display.\n\nWorkstation reliability.\n- During the HP Total Test Process, mobile workstations experience 115,000 hours of performance trials, and with ISV-certifications, the HP ZBook 15 is reliable and ready for business.\n- Optimize this HP ZBook 15 for peak performance. HP Performance Advisor7 configures your system with updated settings and drivers to help maximize performance.\n- No tools needed. Just unlatch the HP Easy Access Door to quickly service your hardware and upgrade parts. 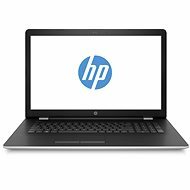 For shipping to other EU countries visit this page HP ZBook 15. 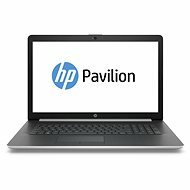 Für Versand nach Deutschland, besuchen Sie bitte HP ZBook 15. Chcete doručit zboží do Česka? Prohlédněte si HP ZBook 15. Für Versand nach Österreich, besuchen Sie bitte HP ZBook 15. 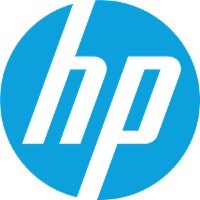 For shipping to the United Kingdom visit this page HP ZBook 15.